The thoroughly updated Fifth Edition ofPediatric Neuroimagingis a highly illustrated text-reference that describes and illustrates the full range of pediatric disorders diagnosable by modern neuroimaging. Covering the diagnosis of brain, spinal, and head and neck disorders in the pediatric patient, the text is rooted in the principle that the proper interpretation of studies requires the acquisition of high-quality images and an understanding of the basic concepts of neuroembryology, normal development, and pathophysiology. Much coverage is given to the disorders seen in everyday practice. The emphasis is on CT and MRI, which are the optimal imaging modalities in children. 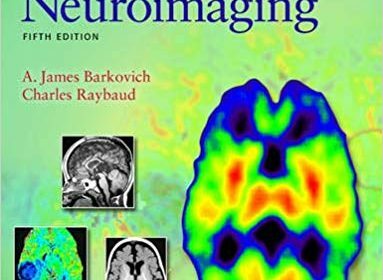 The first two chapters describe useful imaging techniques in this patient population and the imaging manifestations of normal development, to distinguish that from manifestations of disease. The final ten chapters of the book are divided by groups of diseases, with numerous drawings and images that illuminate the underlying pathologic and embryologic/genetic bases of each disorder. The goal is provide a basic approach to groups of diseases, then offer detailed information about the clinical manifestations, underlying biochemistry, molecular biology, genetics and/or pathology of specific disorders. The book incorporates the essential concepts for obtaining good images and understanding normal development, which helps the reader to distinguish normal developmental changes from disease.